I passed this tree-seller’s stand on the way to work, and I couldn’t avoid noticing this all-too-common error. 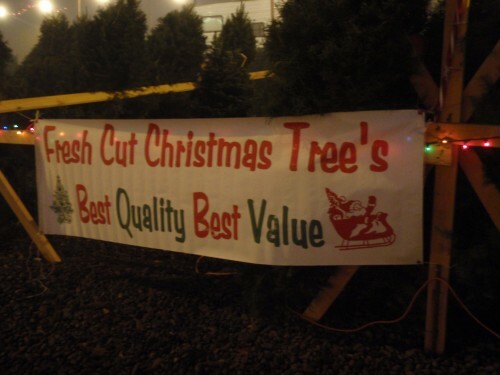 Fresh-Cut Christmas Tree Is what? There were two more of these signs, (though I only took one picture), so it was obviously not an isolated typographical error. Tagged with christmas, plural, tree.